ZIMBABWE – In an unprecedented move that signals China’s growing global influence, Zimbabwe has announced that it will adopt the Chinese currency as legal tender. China will cancel about $40 million worth of Zimbabwe’s debt due to mature this year and Harare hopes to facilitate use of the yuan currency in its economy as bilateral trade increases, the Southern African country’s finance minister had said earlier this week. Zimbabwe abandoned its own currency in 2009 after hyperinflation rendered the Zimbabwean dollar worthless. It then started using a slew of foreign currencies, including the US dollar and the South African rand. The yuan was later added to the basket of the foreign currencies, but its use had not been approved yet for public transactions in the market dominated by the greenback. Finance Minister Patrick Chinamasa said China and Zimbabwe were negotiating the final amount of debt to be cancelled. “They (China) said they are cancelling our debts that are maturing this year. Right now, preliminarily, we are coming up with a figure of $40 million,” Chinamasa said in a statement. In the last five years, Zimbabwe has received more than $1 billion in low interest loans from China, which is Harare’s second largest trading partner after South Africa. On a rare visit to Harare by a Chinese leader, President Xi Jinping this month witnessed the signing of 10 economic agreements, including a $1 billion loan to expand Zimbabwe’s largest thermal power plant. Chinamasa said Zimbabwe planned to increase local use of the yuan after the central bank last year added the Chinese currency to a basket of currencies used in Zimbabwe that includes the U.S. dollar, British sterling and the South African rand. 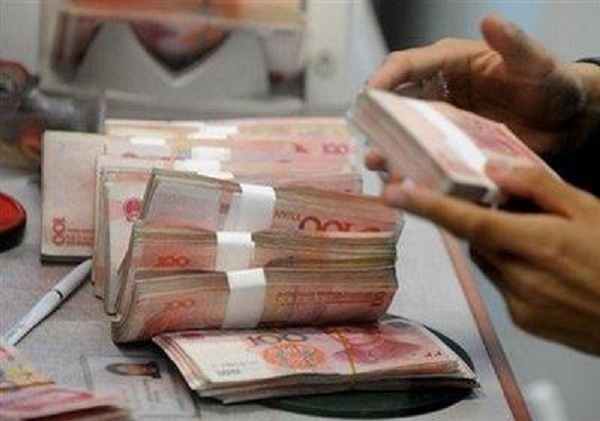 The International Monetary Fund last month admitted the yuan into its benchmark currency basket, a recognition of Beijing as a global economic power. As a start, Chinamasa said, Chinese tourists could pay for services in yuan and Zimbabwe could use the currency to pay its loans to China. The central banks of the two countries are already negotiating on a yuan clearance system, he said.